Brave Robbie Ovenstone is a walking miracle operated by a battery after doctors 'rewired' his brain. 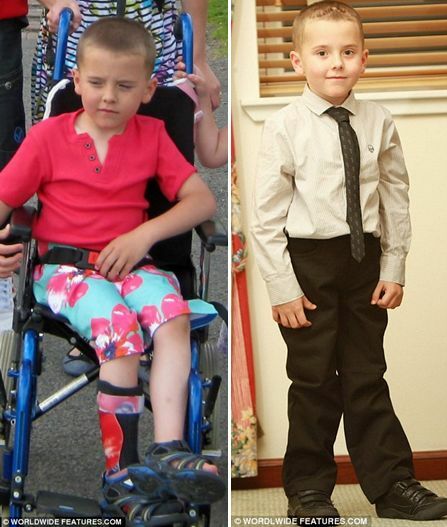 For months Robbie had been unable to walk, feed or dress himself due to a terrible muscular disease that caused his body to twist. But now after an amazing operation where doctors inserted electrodes into his brain and another to a battery in his stomach, the messages being sent to his muscles have been corrected and and he can start to walk normally again.